Oral Surgeon/Oral Surgery in San Francisco – What’s the Difference? Here’s a strange thing: many people go on to Google and search for oral SURGERY San Francisco, when what they really want is an oral SURGEON in San Francisco. The surgery is simply the work carried out by an oral surgeon, so what you really need is the right man for the job – the best oral surgeon in San Francisco (admittedly, a debateable concept). Oral surgery is, of course, a highly skilled business and requires nothing less than the best oral surgeon in San Francisco if you are to get the best result, and have your smile shine in San Francisco, from the Marina District to the Mission. As with any profession there are run of the mill oral surgeons who may be quite competent at what they do, but then there are those oral surgeons who excel. Dr Alex Rabinovich is one of the latter, having trained under and worked with some of the top oral surgeons not just in the US but in the world at Georgetown and Johns Hopkins Universities before setting up his own practice in San Francisco. Over the course of the last few years he has carried out several thousand oral surgeries, maxillofacial surgeries, and dental implant surgeries for patients from all over the Bay Area and from further afield. His fame has spread so far that many patients are willing to travel a considerable distance in order to have oral surgery San Francisco. Dr Rabinovich also does a lot of travelling himself. He is much sought after as a speaker at dental conventions in many different countries. In addition, he travels abroad to carry out oral surgery on children in need of things such as cleft lip and palate surgery, and facial reconstruction surgery, on an entirely voluntary basis. 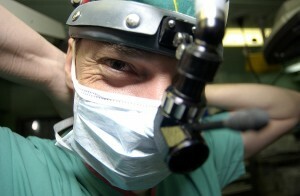 He has fulfilled surgical missions for two well-known non-profit organizations – Healing the Children, and Face to Face. Dr Rabinovich has also written or co-authored several white papers on a number of different aspects of oral surgery and dental implant surgery. At his office in the financial district of San Francisco Dr Rabinovich has installed the very latest equipment including a NewTom 3D imaging machine. NewTom is the only manufacturer to produce a machine capable of imaging in both horizontal and vertical views which provides the surgeon with the ultimate picture on which to base his diagnosis and decide upon the best method of procedure. The NewTom imaging equipment also emits far less radiation than a traditional CAT scan. Dr Rabinovich has surrounded himself with a team of highly trained health professionals who are knowledgeable and passionate about their work. His team is committed to continuing education and attends conventions and seminars in order to ensure that they are always at the forefront of new techniques and the latest products. When you are looking for oral surgery San Francisco, remember to look for the best oral SURGEON. Dr Rabinovich is happy to offer all patients a totally free consult in order to discuss the work that you need carried out and answer all questions. You can book an appointment by calling (415) 817-9991 or just click on the Contact Us link at the top of the page. This entry was posted in Blog and tagged oral surgeon, Oral Surgery, San Francisco on April 24, 2017 by Dr Alex Rabinovich.